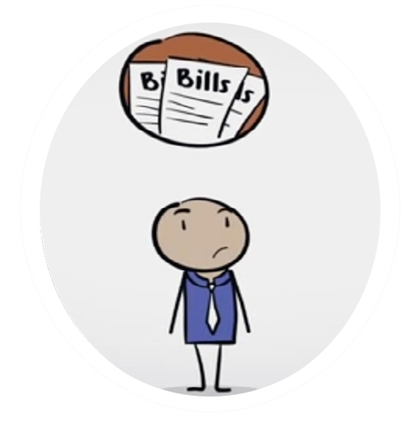 There are several reasons why you might need help with electric bill payments. Unexpected expenses, a heat wave that necessitated cranking the air conditioning around the clock or having your hours cut at work. Whatever your circumstances, the prospect of having your lights and electricity shut off is unsettling, to say the least. If your friends or family members can’t help, you have other options to keep from being left in the dark. One of the best options for help with electric bill payments is LoanNow. If you have a reasonably good payment record and you’re not too far behind on your account, you may be able to get help with electric bill payments from your utility company. You may be able to postpone one or more payments restructure your balance into smaller amounts. You’ll need to contact customer service to set up these kinds of arrangements, either by phone or email. If at all possible, make your request before your utilities are shut off – it’s much more difficult to restore service, and there are frequently hefty fees involved with the process. Another place to check for help with electric bill payments is with your state or municipal government. Assistance may be available during the coldest winter or hottest summer months – or special programs may have been set up to assist customers who have received shutoff notices. You’ll probably need to provide copies of your bill along with proof of residency to obtain assistance. You may be required to provide income verification as well. It’s also better to apply sooner rather than later for this kind of assistance, because processing times can be slow. Nonprofit associations and charitable organizations also frequently provide help with electric bill payments. Just like with municipal and state based assistance programs, you will need to provide copies of your bill. You’ll probably need to provide income verification. Be forewarned, such programs often have very heavy demand. There may also be lengthy processing times, although some organizations provide emergency assistance if you’re facing immediate shutoff. If you’ve struck out in obtaining help with electric bill payments, LoanNow may be able to provide the money you need. You can apply from home and receive a response within minutes†. If your credit isn’t perfect, you may still qualify. With LoanNow, you’re more than a FICO score. Don’t be left in the dark. Check out LoanNow today!